Kids In Touch - Training Wheels for Texting. Have a young child that wants to stay in touch with friends and family - but you don't want to give them a real phone yet? 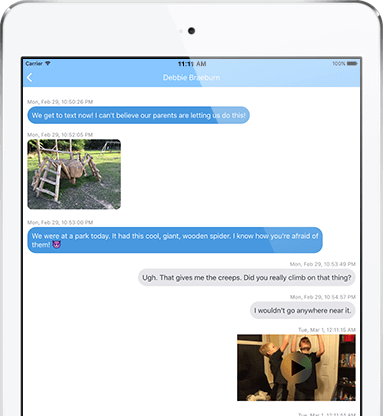 Kids In Touch lets your children send instant messages (texts) to friends and family that also have the app. 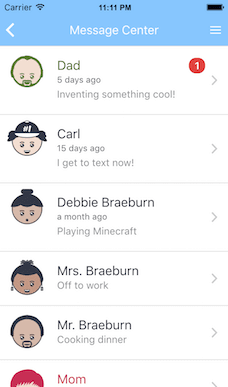 Kids and families can text on iPod Touch, iPads, iPhones, and Android devices. 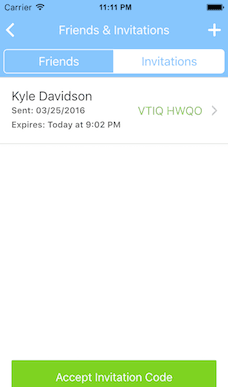 You can let your kids start texting while ensuring they stay safe. Your family's private messages are not shared across social media sites like Facebook or Twitter. 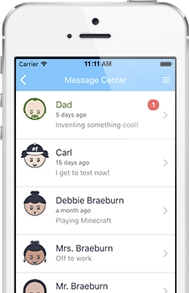 Kids can instant message with friends and family in a fun, safe environment. Children will love the fun features in Kids in Touch. 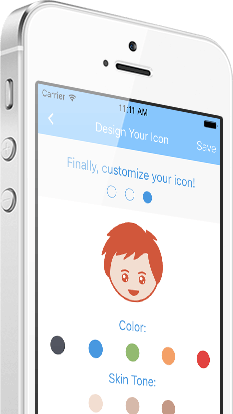 They can design their own icon to show their moods or silly nature. Parents can review their children's messages to make sure they aren't being bullied - or being bullies..
Every member of the family has their own Secret Pin. 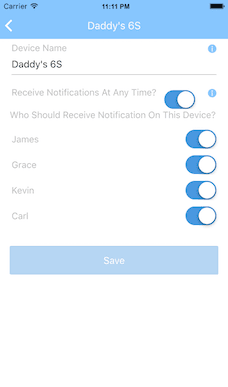 So, you can all share the same device. You don't need an iPod or iPad for every family member! 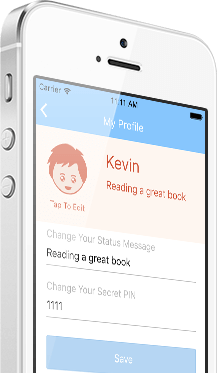 Kids In Touch is a safe texting app for kids that works on Android and Apple iOS devices. Parents decide whom their family interacts with on Kids In Touch. You invite other families to join yours. No one else can communicate with your children. 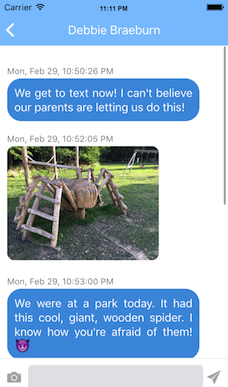 You can even decide which members of another family can text with your child. Parents can use Kids In Touch as an early teaching tool to ensure kids are prepared for the future. By teaching them safe and appropriate messaging now, they'll be less likely to share inappropriately when they get their first real phone. 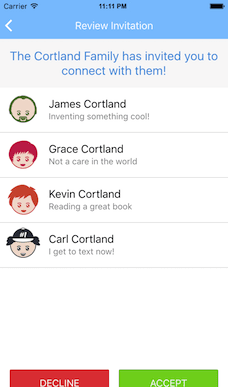 Kids will enjoy sending instant messages to their friends. They can now stay in touch with Grandma, their cousins, and the neighbors that moved away. 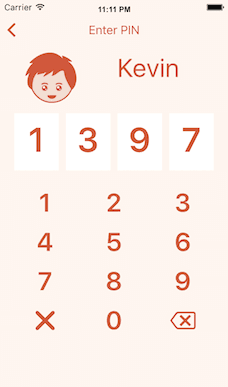 Kids In Touch is a kid friendly, parent approved, messaging app for Android and iOS.